Tokenization is the process of converting rights to assets into a digital token on a blockchain. Every existing asset class will become digital simply because it is more efficient, secure and transparent. Benefits include lower transaction costs, shared ownership models and improved liquidity. Here are 5 ways that tokenization will disrupt business and finance. A fund that operates in a technology regulated environment will have to use digital assets like tokens. Digital tokens on a blockchain are designed for economic activity as well as improving efficiency, liquidity, and transparency. The CEO of RBC Asset Management recently stated that tokenization on the blockchain ‘has the potential to radically change the whole concept of asset management’ and would ‘allow investors easier access to a far greater range of asset classes than just listed equities and bonds’. The creation of a secure, verifiable record of ownership in the form of a blockchain-based ledger would allow fans or investors to own a stake in athletes and sports celebrities. It would also introduce a greater level of trust and transparency for players, agents, clubs, fans and authorities. Tokens would allow people to have ‘fractional ownership,’ of a property and give the property owner the ability to split up their home and sell off equity stakes. At the end of 2018, a 36.5 million dollar condominium in Manhattan was sliced into digital shares, it won’t be the last! Apple Pay is one example of tokenization in action in retail today. As more and more of us pay by debit card or contactless payments, tokenization offers many benefits to retailers and consumers. Payment tokenization protects against fraud by removing account numbers from the payment side of the transaction. The examples outlined are just some of the industries where tokenisation could offer huge cost benefits and make transactions more secure and assets more liquid. About the author: Paul Henderson is a content strategist with a background developing digital content projects for companies including Bloomberg and Microsoft as well as local government health departments. He is the founder of Blockheads, a consultancy that advises blockchain and fintech startups on their content strategy and social media marketing. 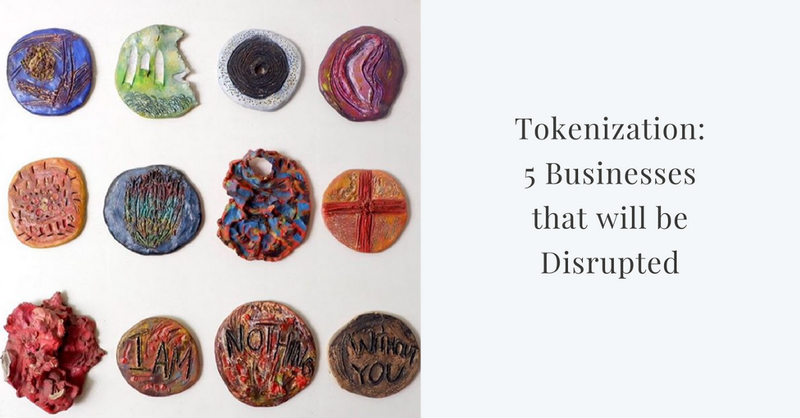 Tokenization- 5 Businesses that will be Disrupted was originally published in Hacker Noon on Medium, where people are continuing the conversation by highlighting and responding to this story.